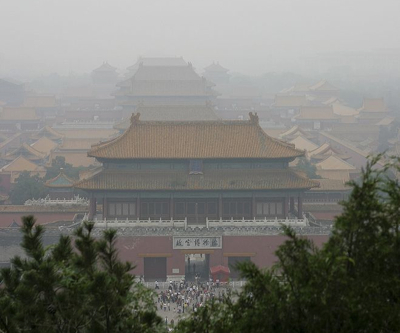 Beijing plans to curb coal consumption and reduce pollution. China’s third largest state-owned coal miner, Datong Coal Mine Group (LON:DTE), has partnered with solar energy firm Yingli Green (NYSE:YGE) to develop and construct sunlight-fuelled power plants in the province of Shanxi, northern China. The news was welcome by the market, as China enters 2014 reeling from one of the worst polluted winters in recent years. Deutsche Bank said the joint venture was an incremental positive, adding it reflects the Yingli’s leadership position in China. Last month, Yingli Green also won the contract to develop 233MW of solar plants in Algeria, after creating a partnership with two hydroelectric and windpower firms. China, which accounts for about 50% of the world's coal consumption. is likely to remain as the driving force for the fuel's growth over the coming years. However, the government recently announced it would close at least 2,000 small coal mines over the next two years. China's dependence on coal is well known. The Asian giant gets about 70% of its energy from the fossil fuel, and the government is moving forward with its plans to reduce that figure by at least 5% by 2017.